With the end of the year approaching, you’ve probably been trying to think of ways to reduce your tax burden before it’s too late. One fantastic way to reduce your burden is to increase your contributions to retirement accounts, such as a 401(k) at work or through a Traditional IRA. With IRAs, the deal gets even better because you have until tax day, April 15th, to contribute. If you contribute towards an IRA between January 1, 2010 and April 15th, 2010, you can still have it count on your 2009 taxes! NOTE: If you make a contribution in 2010 before the April 15th deadline, be sure to tell your broker that you want the contribution to be for the 2009 tax year. By default, they will put it towards 2010 unless you tell them otherwise. When it comes to IRAs, there are two major flavors – the Roth IRA and the Traditional IRA. With a Roth IRA, your contributions are not tax deductible but the account balance grows tax free. When you begin withdrawing money in retirement, you are not taxed on the disbursements. With a Traditional IRA, your contributions are tax deductible but you are taxed when you begin withdrawing money in retirement. You either pay the tax today, with a Roth, or you pay a tax in retirement, with a Traditional IRA. The general idea is that a Roth IRA is valuable if you believe your income tax rate in retirement will be higher than your current rate. If you believe the reverse is true, then you would prefer a Traditional IRA because you get tax benefits immediately. Another school of thought argues that since it’s impossible to determine where the tax brackets will shift, it’s most important to diversify your tax profile. Finally, given the contribution limits on Roth IRAs, it might make more sense to take advantage of it today because you might not be able to tomorrow. 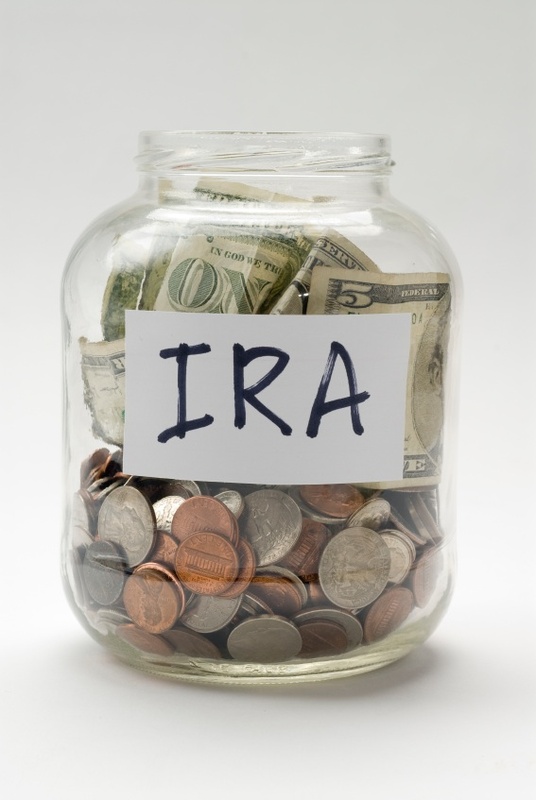 IRA contribution limits are the same for Traditional and Roth IRAs. For 2009, you can contribute up to $5,000 total. If you are age 50 and above, you can contribute a maximum of $6,000. This amount is shared between the two types of accounts, so if you want to contribute to both then the sum can’t be greater than your limit. Roth IRAs have an additional income restriction. If you are single filer, you can contribute the maximum as long as your adjusted gross income is under $105,000. If you earn between $105,000 and $120,000, your contribution maximum will be adjusted based on how much above the lower limit you earn. If you earn over $120,000, then you cannot contribute to a Roth IRA. For married filing jointly, the two limits are $159,000 and $169,000. Starting next year, anyone will be able to convert a Traditional IRA to a Roth IRA. Today, that conversion is only permitted for individuals earning less than $100,000. This is a big deal for people who can’t contribute to a Roth IRA because of the income restriction. If you are one of those individuals, read up on the Roth IRA conversion rules to be prepared. Jim writes about money at his personal finance blog Bargaineering.com.